Water booster unit three-phase, with bladder tank capacity : 300L mounted on support. Power : 2.20kw. Full ready to use, for water supplies in apartment building or residential complex, for potable water transfer, boostering sanitary network. Ready to use. 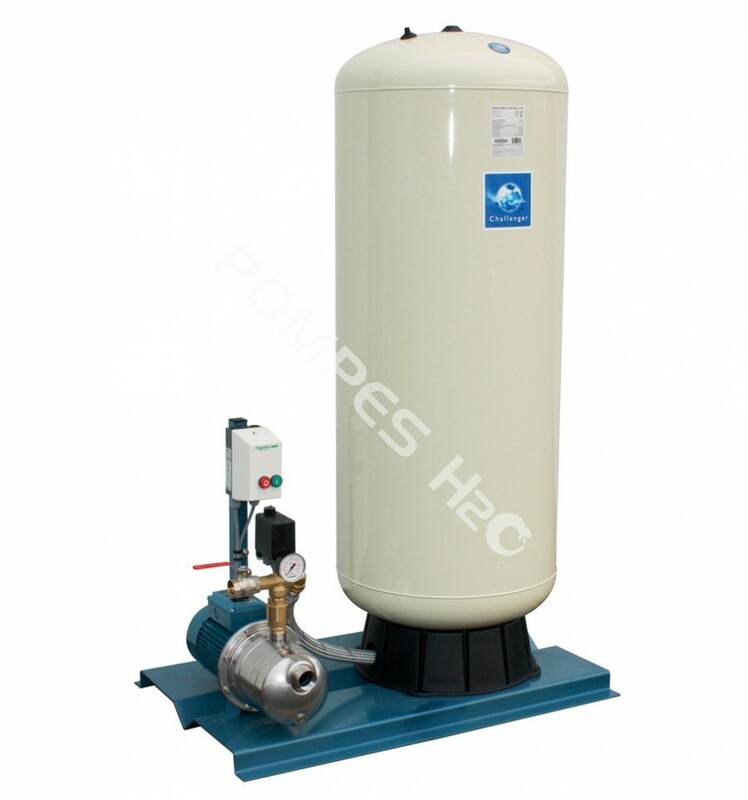 - 1 vertical bladder tank 300L, (ACS) - Discharge : 1" F.
- 1 perforated support in painted folder sheet. - 1 Calpeda NG 7/22E multicellular self-priming pump - Suction 1"1/2 F.
- 1 brass non-return valve. * CALPEDA HYDROMAX 220 300L is delivered assembled and ready to be connected.